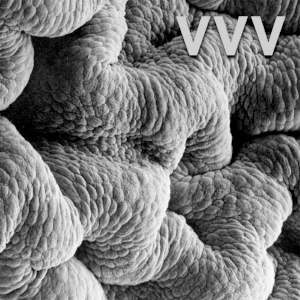 Full Stream Premiere of VVV’s New LP on Exclaim! VVV Gives Full Access Via Exclaim! After a prolific catalog of successful EPs, collaborations, cassettes and compilation appearances, the long awaited follow up to 2011’s Across the Sea is here. VVV is back with his second full length Shadow World, out this Friday 10/06/17 on LP, cassette and digital download. Shadow World is the result of VVV’s efforts to focus work on a fully encapsulated LP with recurring motifs and source material. The vocabulary on Shadow World has expanded to include extensive samples from classic Iranian instruments in addition to VVV's usual interplay of dark melodies and 2-step dance beats. The unified vision and refined details on Shadow World makes the new album stand out as the peak of VVV’s discography. Click HERE to listen to Shadow World in it’s entirety on Exclaim! Click HERE to order your copy of Shadow World (out this Friday 10/06/17) on LP or cassette from Holodeck Records.